In accordance with a decision by the Supreme Commander-in-Chief Vladimir Putin, Russian Aerospace Forces planes on Wednesday started an operation to deal pinpoint strikes against ground targets of the IS terrorist group in the territory of the Syrian Arab Republic. The Russian Defense Minister, General of the Army Sergey Shoigu, has told his counterparts in the Collective Security Treaty Organization that in the course of the military operation in Syria, Russian warplanes have been attacking military equipment, communication centers, motor vehicles, and munitions and fuel and lubricants depots of the Islamic State terrorists. Russia’s upper house Federation Council authorized the operation, acting on Putin’s request – after Syrian President Bashar al-Assad asked him for help. Admiral Vladimir Komoyedov said “ground attack aircraft, reconnaissance aircraft…fighter-bomber planes (and attack) helicopters” may be used. Russian armed forces are also being used to protect its Tartus naval facility and Syrian airbases used for strikes on ISIS. Putin sent the US-led anti-Assad coalition a message. He respects Syrian sovereignty. Assad is a legitimate leader, overwhelmingly supported by his people. They alone have the right to decide who’ll lead them, no one else, for sure no foreign powers for their own self-interest. Russian upper house Federation Council deputy International Affairs Committee chairman, Andrey Klimov expects mixed Western reactions to the latest development. “In the European Union there are many politicians who are unhappy about US activities in the Middle East, which have caused a heavy influx of refugees to the Old World countries,” he said. These politicians share Russia’s stance regarding the Syrian settlement. I will be meeting with some of them within hours. “But in the West, there are some other personalities, who will be critical of Moscow regardless of what we may be doing in the Middle East” – especially Washington. Washington for the first time in many years is on the back foot. Its policies virtually always go unchallenged, no matter how outrageous. Putin acting responsibly changes things. Washington fosters terrorism, uses it to advance its imperium. Putin and the entire free world want it eliminated. Attacking ISIS targets in Syria is a good start. The only true way to combat international terrorism – and those fighting in Syria and its neighboring countries are just that, international terrorists – is through pre-emption, and fighting and destroying insurgents in territories that are already occupied, instead of waiting for them to come to our house. 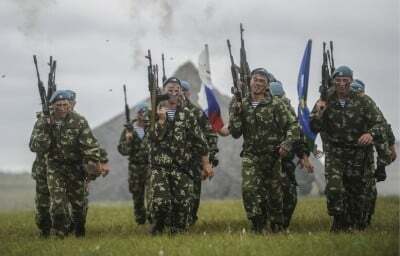 Russia’s direct involvement changes the equation on the ground. Washington had things its way unchallenged so far. No longer.